This workshop will take participants through the setting up their books to meet the basic financial compliance of the Society’s Act. Participants will gain an understanding of the role of the treasurer and bookkeeper, basic recording terminology, and annual compliance filings with the Province of Alberta and Revenue Canada. 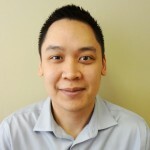 Brian will also cover why doing bookkeeping using a double entry system is best to meet these compliance expectations.